Identify personal data and where it resides, govern how it is accessed and used, and establish adequate security controls. Help secure data across devices, apps, cloud services, and on premises using integrated classification, labeling, and protection in Microsoft 365. Assess your compliance risk and get actionable insights using a centralized dashboard in Compliance Manager. Keep personal data safe with identity and information protection capabilities in Windows 10. 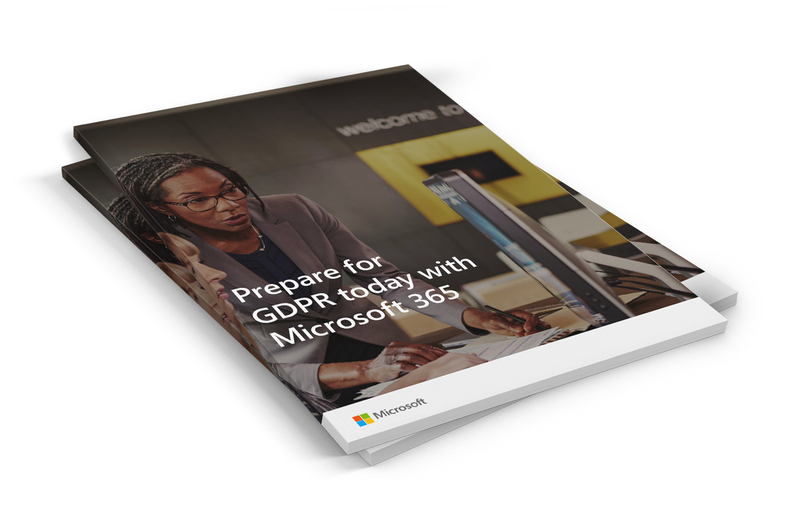 Learn how you can meet GDPR requirements using intelligent solutions in Microsoft 365 and the cloud. Download the white paper today.